If you are having roofing issues and are looking for a Purcellville roof repair company that is licensed and insured give us a call at (703) 303-8546 or use our contact form located here. Throughout the lifetime of your roof you will likely need to make a decision as to whether to continue with roof repairs or whether you need an entire roof replacement. In some cases the answer is easy, such as when an insurance company adjuster makes the call during their assessment after a natural disaster. In other cases, the homeowner needs to make the final decision, and in this case getting an opinion from professional roofers is a good idea. 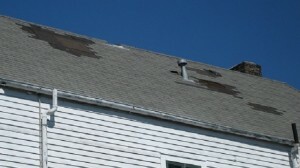 When making the decision as to whether to repair or replace your roof, you should be sure to consider some key points. • Short term vs. long term. Homeowners should keep their short and long term goals in mind when choosing between a roof repair and a roof replacement. Professional roofers can help you to determine whether you will be able to recoup some of your expenses if you replace your roof and then intend to sell your home. They can also help you to determine whether it is a better idea to pass that decision on to the home’s future owner and to then offer a price incentive. • Age of the roof. When it comes to roof replacements and repairs, there aren’t any absolutes. However, the closer you get to the projected lifetime date of your roof the more likely you will need an entire replacement. • Type of roof. The type of roofing system you have in place may also determine whether a repair or a replacement is in order. More expensive roofing may inspire a homeowner to go with a repair rather than a replacement, but it is important to not put the replacement off for too long after the roof’s projected lifetime. • Type of wear or damage. If you are simply dealing with a few missing or broken tiles or shingles, some spot repairs may be all that you need. If a home has more extensive damage like actual holes on the roof, an entire replacement may be more logical. • Time spent on repairs. Even if you are making your own repairs, at some point the expense and time involved in the process will no longer be logical. Knowing when the problem can no longer be fixed will help you to determine when to throw in the towel and to opt for the needed roof replacement. • Replacement incentives. If you do need to have a full roof replacement, some incentives may be available. Check to see if you qualify for any tax incentives or if your insurance company offers a special rate for a certain type of roofing. 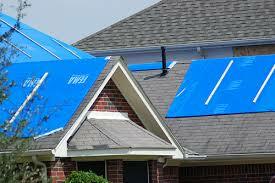 Additionally, a new roof will be a good selling feature if you choose to put your house on the market. Whether you need siding repair or roof repair services, professionals are located in the popular town of Purcellville to help you with your project. Purcellville is located in Loudoun County, VA, and as of the 2010 census the population was 7,727. This town is the major center for the Loudoun Valley and western Loudoun. It is known for its older structures that reflect a Victorian architecture that was popular throughout the early 1900s. This is a popular community for families due to the private and public educational institutions, including the Loudon County Public Schools. In 2013, the average list price for a home in Purcellville was $711,992. Median home prices decreased by 3.5% from 2012 to 2013. Purcellville is one of the most desirable areas located in the metro D.C. and Baltimore areas for both residential and commercial properties. It features an old-fashioned downtown area with small businesses that give it a small town character. A variety of real estate agents are based in Purcellville to help new business owners, or those looking to relocate to the area, to find the commercial space that is right for them.